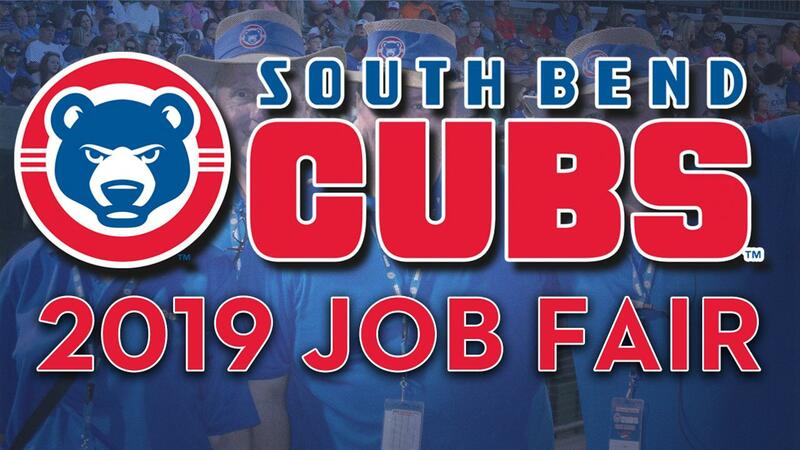 SOUTH BEND, IN - The South Bend Cubs are looking for energetic and customer service focused individuals to join their All-Star roster in 2019. South Bend will host a job fair on Saturday, February 16 from 10:00 a.m. to 1:00 p.m. in the Pepsi Stadium Club at Four Winds Field. A new addition to the hiring process this year is the online job application. The streamlined form has been designed with mobile devices in mind, making it accessible and easy for anyone to complete. All applications will be reviewed by the South Bend staff and those whose qualifications match the desired needs will be contacted to set up an interview. Please note, the Job Fair on February 16 is open to the public and walk up interviews will be conducted. To apply to the South Bend Cubs, please click here. The job fair will spotlight 20 different categories across eight departments within the Cubs organization. Some of the available positions include gameday ambassador, ticket seller, hospitality host, parking attendant, custodial services, team store employee, concessions team member, and more. "Our gameday staff is pivotal to what we do here in South Bend," South Bend Cubs Vice President and General Manager Nick Brown said. "We rely heavily on the leadership and diligent work ethic they show every game. With this being our All-Star summer, we need All-Stars working around the ballpark too. If you are passionate, energetic, and customer service focused, we would love to have you." The South Bend Cubs will open the 2019 season by hosting the West Michigan Whitecaps for the first of a quick two-game series on Thursday, April 4.